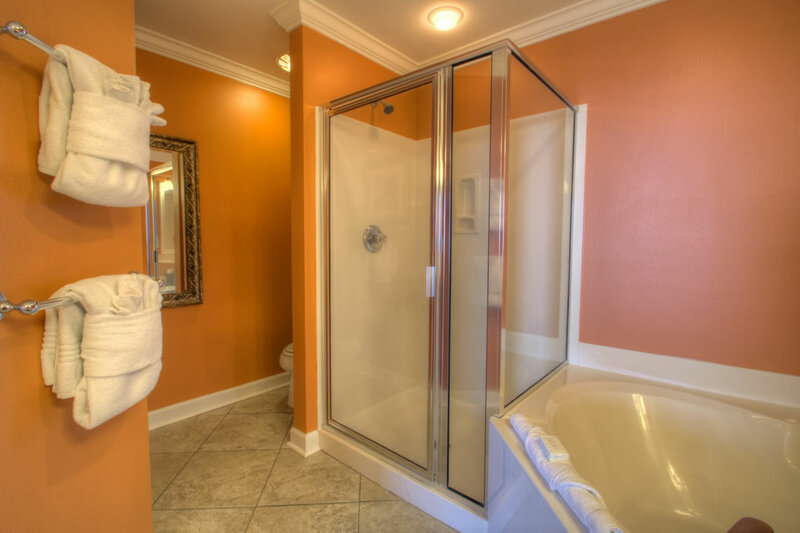 Amazing is the only word that describes this new addition to our rental program. 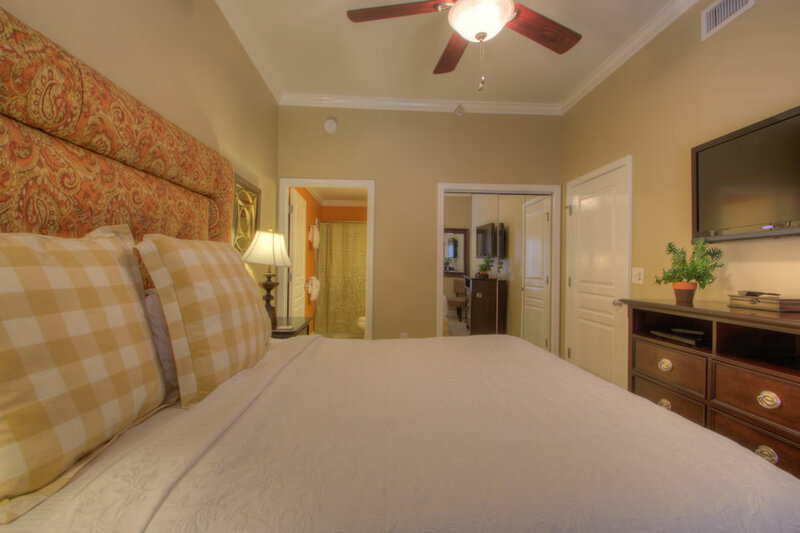 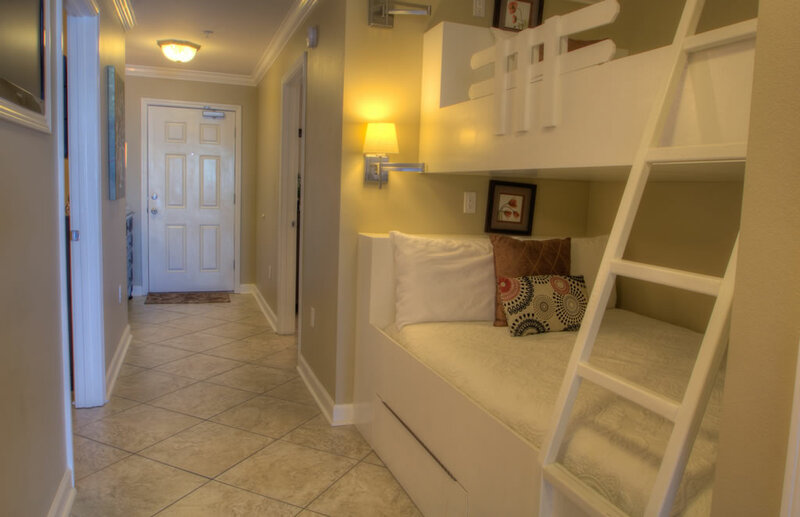 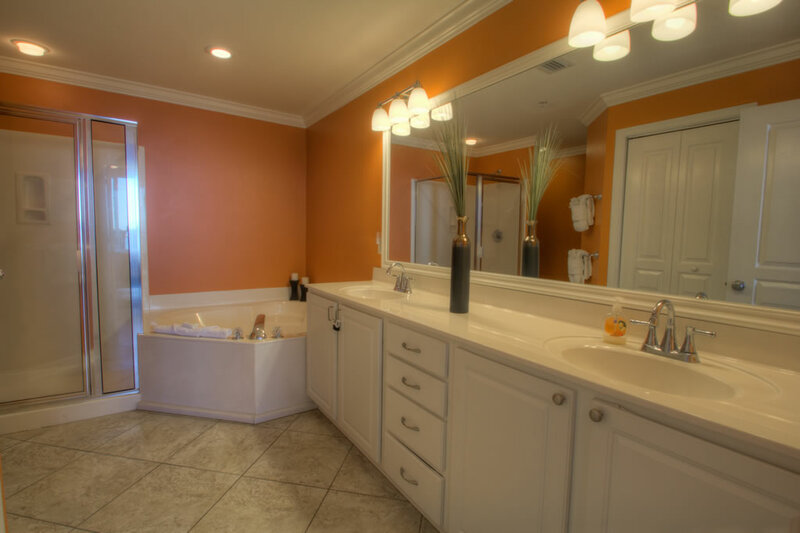 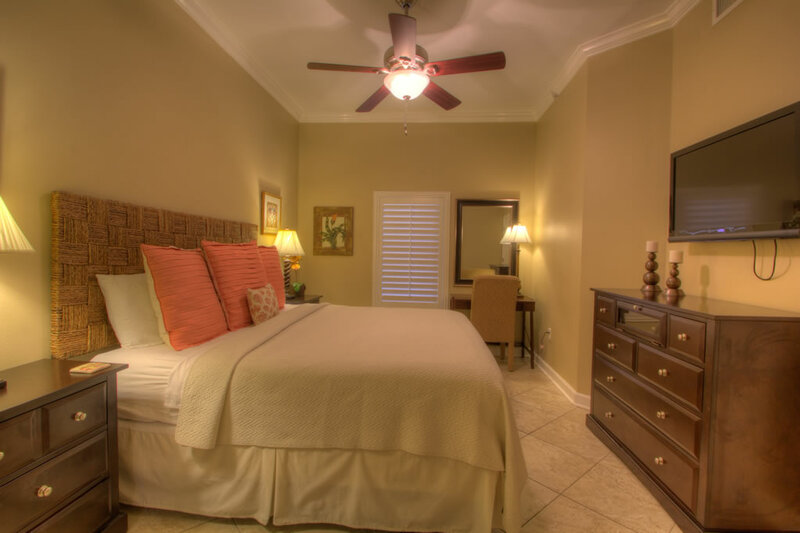 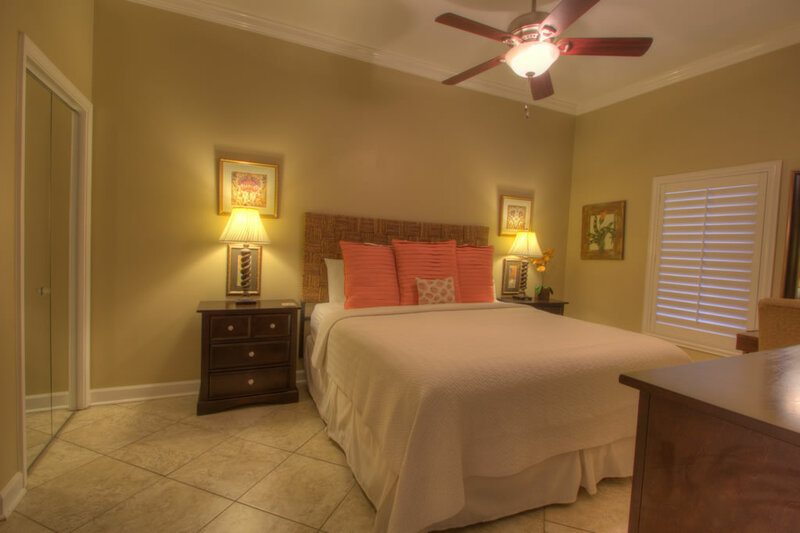 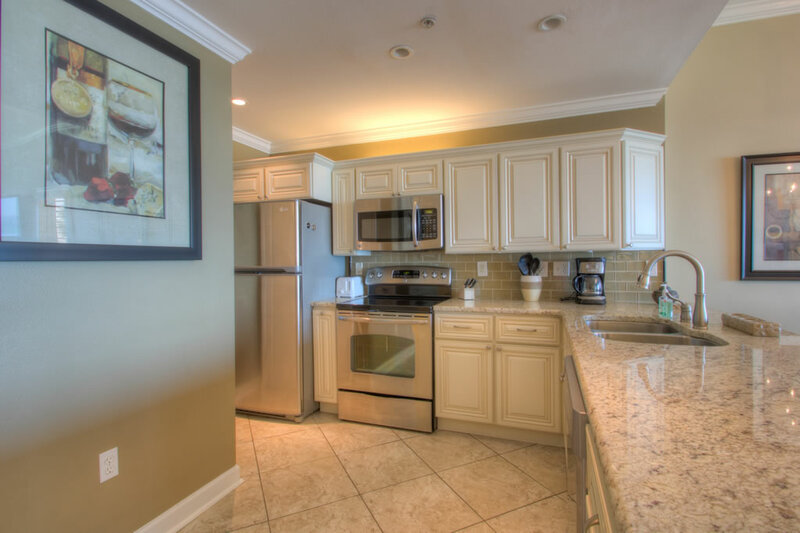 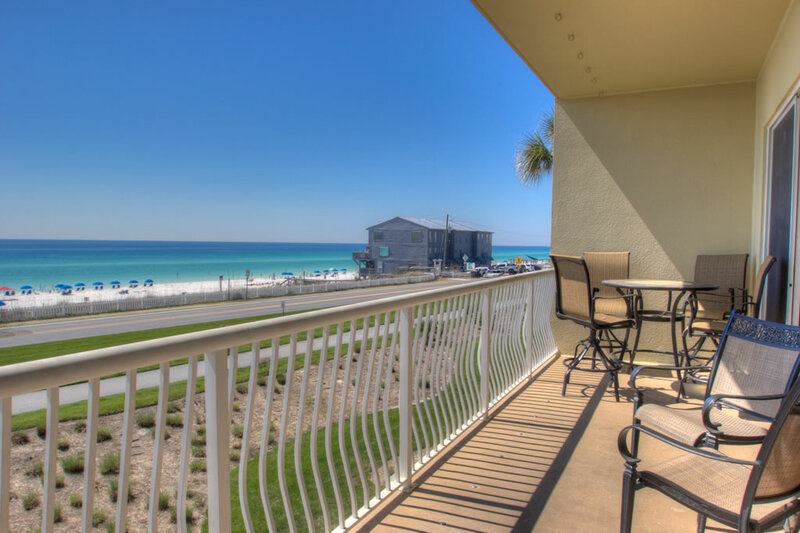 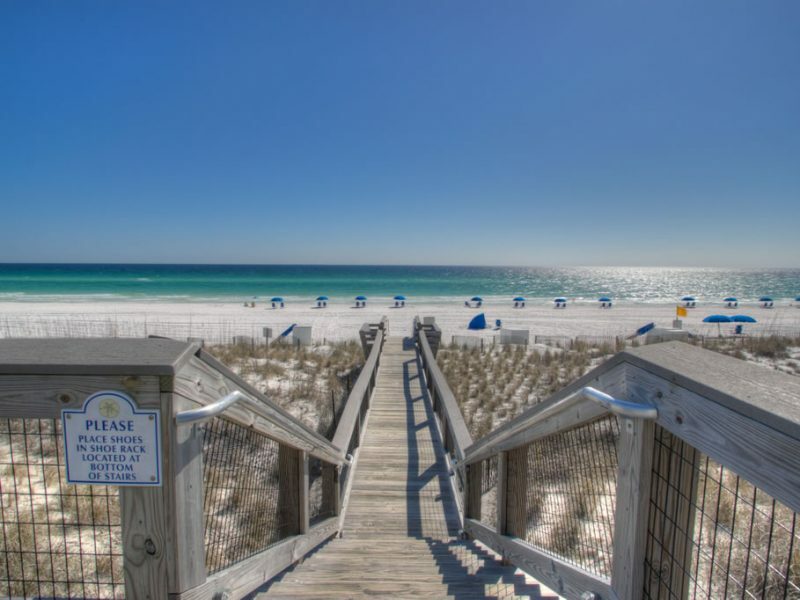 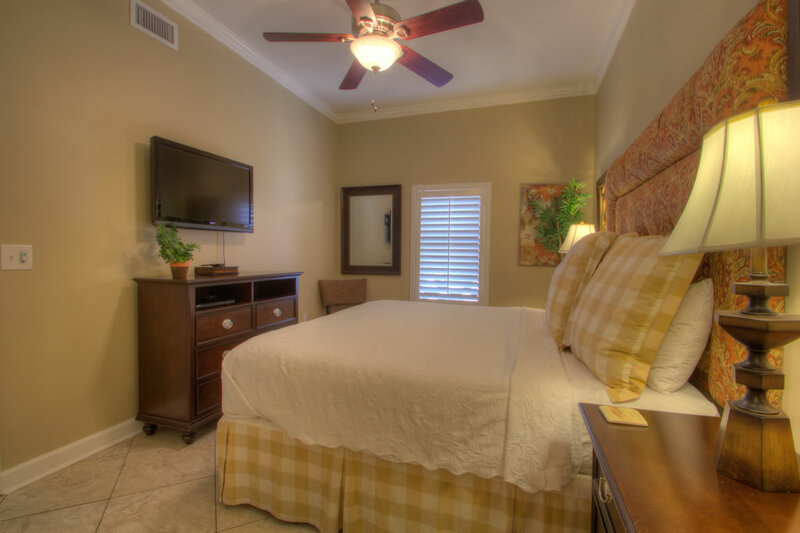 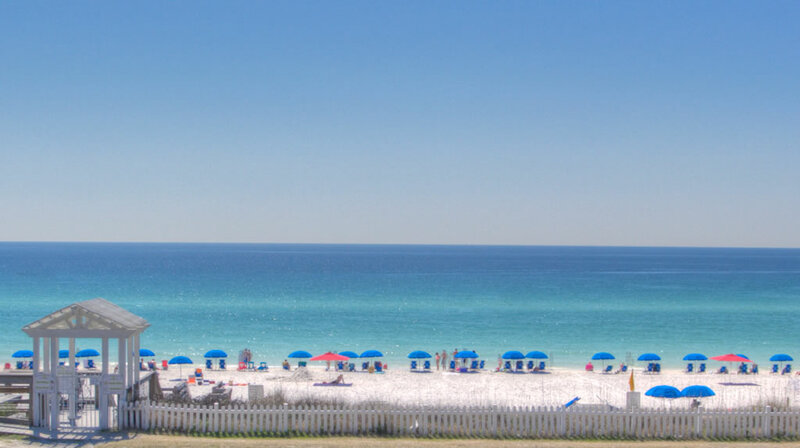 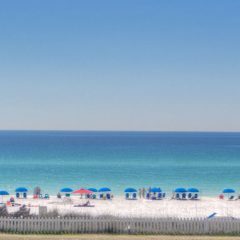 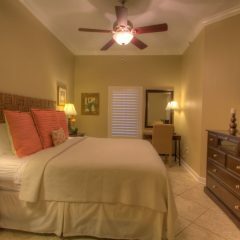 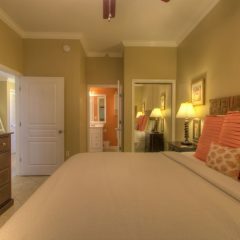 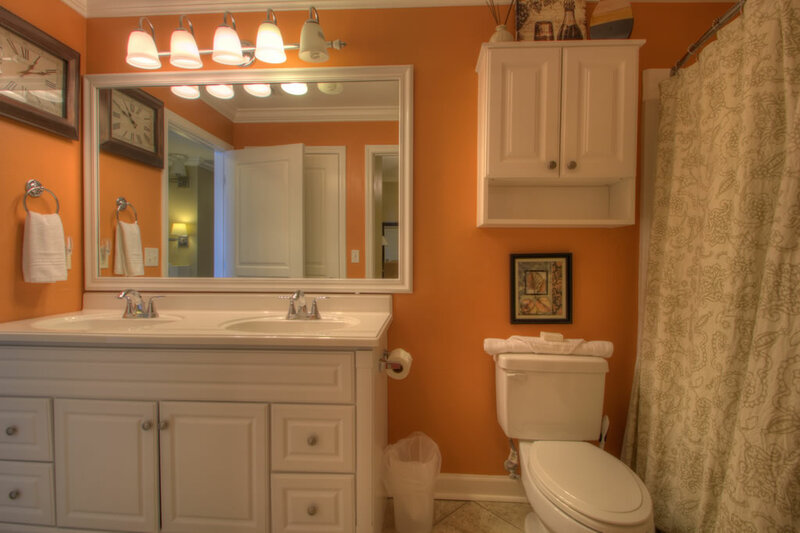 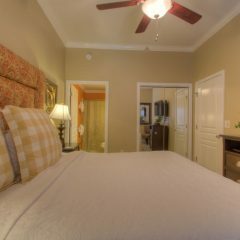 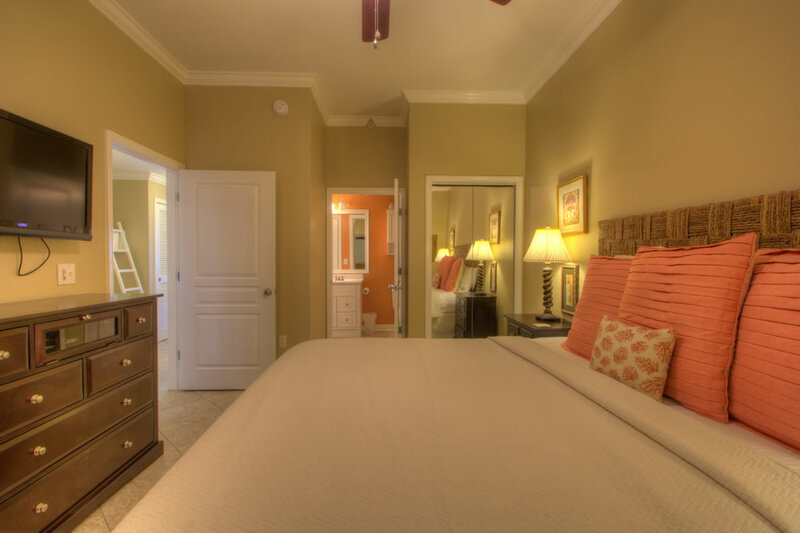 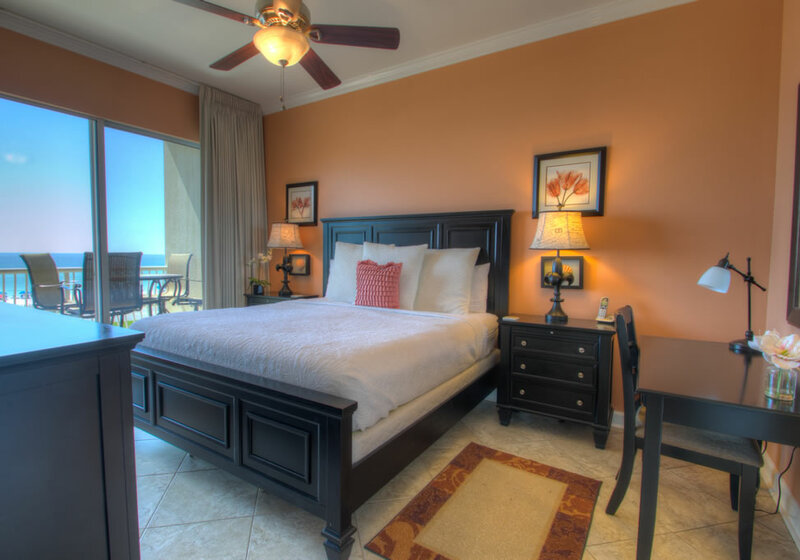 Beach Retreat 201 has 3 bedrooms / 3 baths king suite that is 1567 square feet end unit. 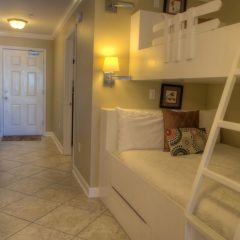 Pull out queen sofa and hall bunks, it comfortably sleeps 11. 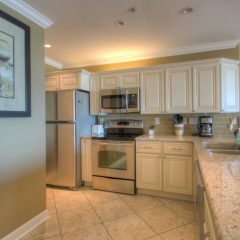 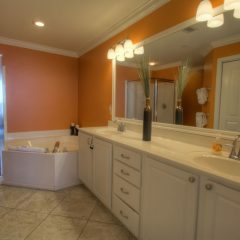 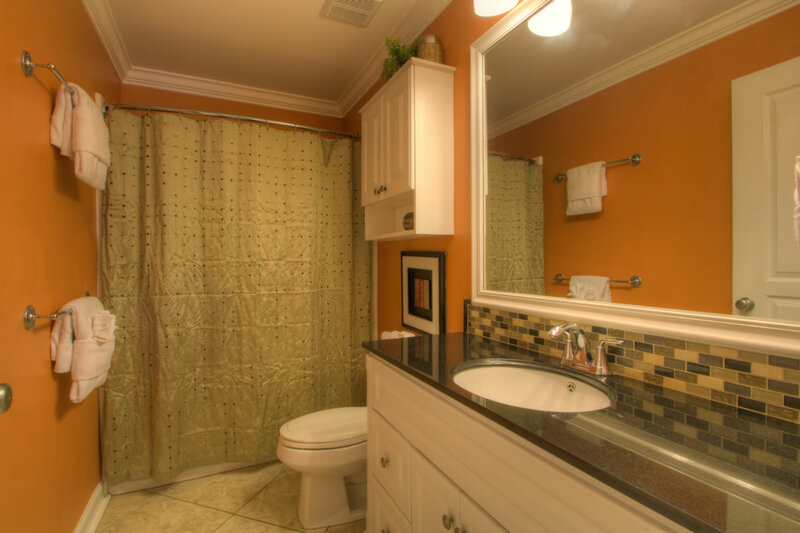 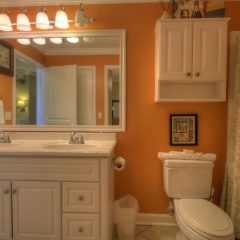 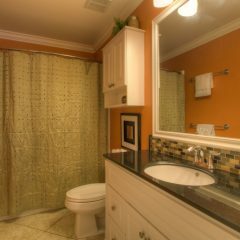 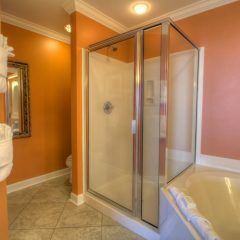 This unit is all ceramic tile, granite counter tops, beautiful bisque cabinets and flat screen TV s in all the rooms and DVDs . 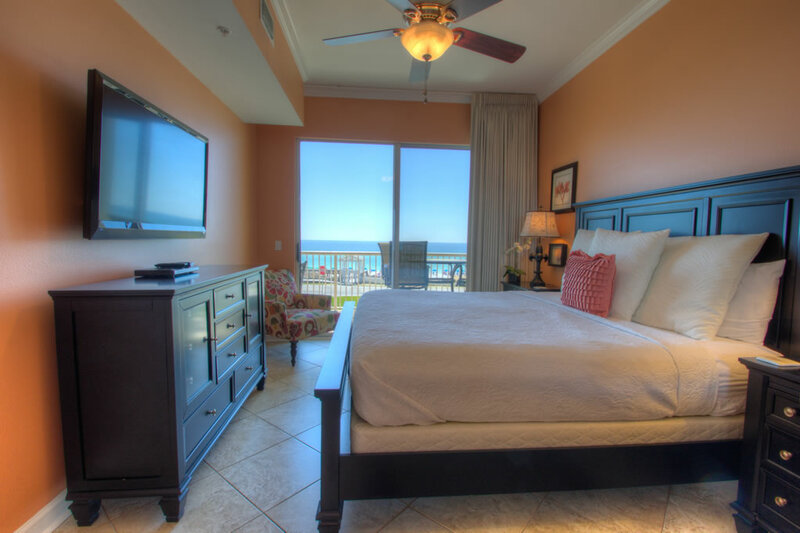 It has been professionally decorated and has everything you will need for a perfect vacation .It has the large deck where you can sit and view the beautiful Gulf of Mexico for hours. 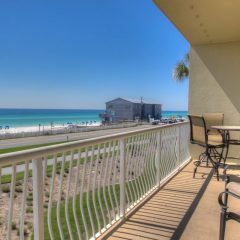 Have your coffee and watch the pelican glide by or a playful dolphin jump out of the surf. 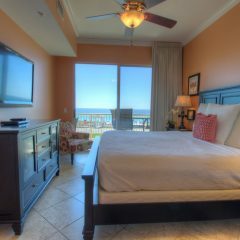 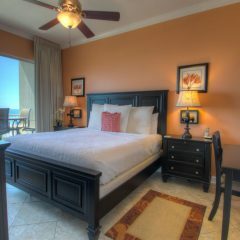 Beach Retreat is a vacation place you will not quickly forget and it will keep calling you back.